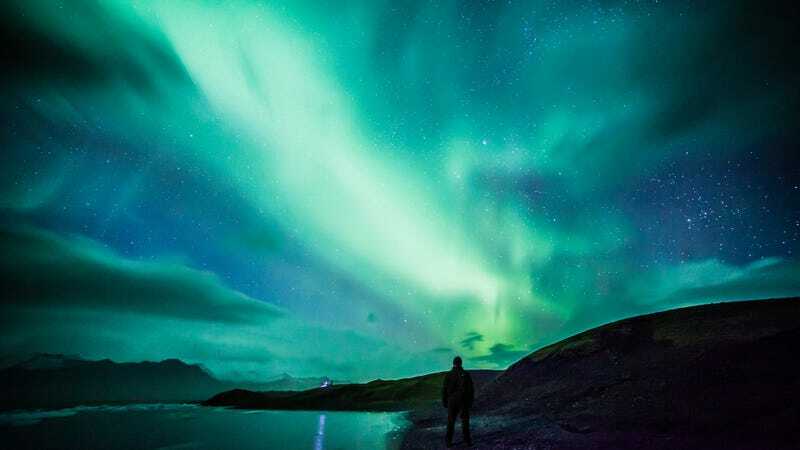 The aurora borealis is one of the most spectacular light shows Earth’s skies have to offer—but it’s much more than that. The energy that drives the northern lights could also power upwelling in our planet’s upper atmosphere. Weather permitting, two NASA-funded sounding rockets are launching from Norway this month to probe that mysterious connection. That mission, the Auroral Zone Upwelling Rocket Experiment (AZURE), has a wonky-sounding goal of tracing the flow of horizontal and vertical winds and particles in Earth’s ionosphere, an electrically-charged layer of the atmosphere that’s bombarded with high-energy particles from the Sun and outer space. 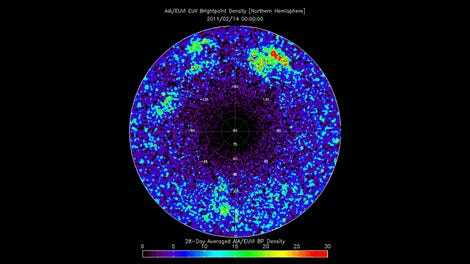 But the reason we want to understand what’s roiling up particles in the ionosphere is highly practical. Upwelling moves cooler, denser air to higher altitudes. This “changes the aerodynamic drag on spacecraft and modifies their orbit,” according to Mark Conde, a space physicist at the University of Alaska, Fairbanks, and co-investigator on the mission. Those effects may be tiny, but in an age where space junk is rapidly accumulating in our planetary orbit and collisions with even tiny specs of it can prove disastrous (you saw Gravity, right? ), operators need to be able to steer spacecraft with hyper-accuracy. Conde added that upwelling also changes the electrical makeup of the ionosphere, which can affect spacecraft navigations, communications, and more. The sounding rockets behind the AZURE experiment at the Andøya Space Center in Norway. And the thing is, this really shouldn’t be happening at all. While the troposphere—the atmospheric layer we live in—overturns frequently as cooler air masses at higher altitudes meet lighter, warmer air masses and sink, in the upper atmosphere, temperature increases with height. Warmer, lighter air is typically found higher up, and it would have no reason to sink unless some outside energy source was driving the overturning. “The only candidate we can think of for supplying the energy is the aurora,” Conde said, explaining how the aurora is ultimately powered by the solar wind, a streams of charged particles emanating from the Sun. The electrodynamics that power this light show may also drive upwelling. Finding out requires making detailed measurements over relatively small regions of the atmosphere, which is where the rockets come in. Sometime between now and March 17, the AZURE team will launch two sounding rockets from the Andøya Space Center in Norway. In the ionosphere, those rockets will deploy vapor tracers that produce a constellation of colorful (and very harmless) clouds. Scientists will track the motion of those clouds from the ground to trace the wind at heights of about 70 to 155 miles. Simultaneously, they’ll use ground-based instruments to look at what the aurora is doing, then feed those observations into models “and see if the winds we observe are consistent with how a theoretical atmosphere would respond to the drivers we observe with aurora monitoring equipment,” as Conde put it. For now, the team has to wait for the Earth and the Sun to deliver the right conditions. The launch window for the rockets opened March 3, and while Conde says the team has had “beautiful terrestrial weather,” the Sun is “not producing a lot of disturbance” at the moment. Hopefully, the Sun will rev up enough that the team can catch some space weather before the launch window closes. There’s reason to be optimistic. “We’re so far north, it doesn’t take a lot [to get an aurora],” he said.